Oklahoma Connection | Hough was born near Lone Wolf in Kiowa County, Oklahoma. Dr. Jack Hough is internationally regarded as a pioneer of microscopic ear surgery and perfected several surgical techniques and instruments for hearing restoration and middle ear reconstruction that are widely used throughout the world. 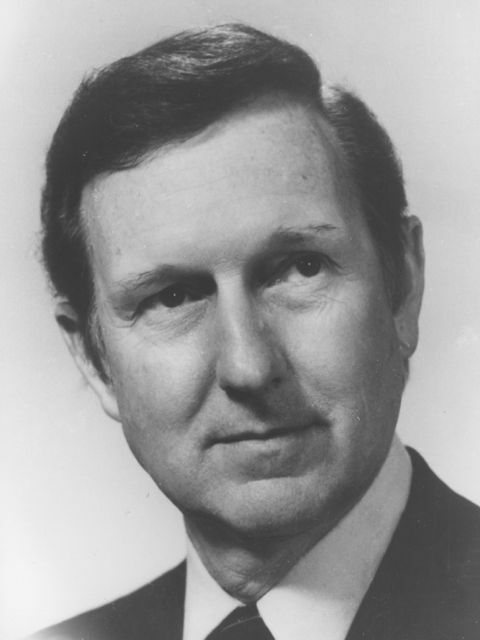 Oklahoma native Dr. Jack Van Doren Hough was born to pioneer settlers of the Cherokee Strip and graduated from Southeastern Oklahoma State University at Durant and the University of Oklahoma School of Medicine. In 1964, he joined Dr. C. Everett Koop and eight others to found the Medical Assistance Program, known today as MAP International, to furnish medical assistance and training programs to underdeveloped areas around the world. Hough authored numerous scientific papers and his 1959 published speech, “Science, Philosophy and Religion,” is widely read. A team of researchers joined him in developing electromagnetic hearing devices using cochlear implants and he served as clinical professor of Otolaryngology Head and Neck Surgery at the Oklahoma Health Sciences Center and as director of the Hough Ear Institute in Oklahoma City.